There can be few more significant scientific and cultural achievements than the successful mission to place a human being on the Moon. 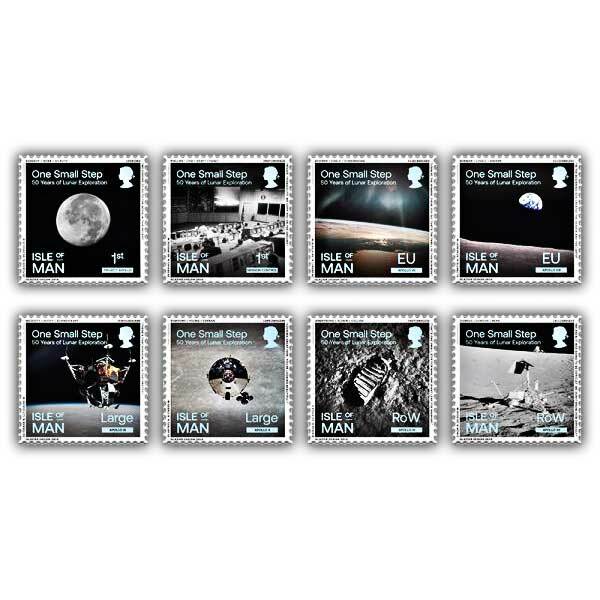 We commemorate this historic 'first' with a set of eight remarkable stamps entitiled 'One Small Step'. Working with George Abbey, former Director of NASA's Johnson Space Center, former astronauts and the NASA administration, our designers have created a set of stamps with embedded codes, quotes, tributes and secrets, befitting of this most important mission.